DOHA, Qatar, Feb 19 2018 (IPS) - The Kingdom of Saudi Arabia is undergoing a process of change in its social, economic, and political structures unseen since its founding in 1932. Crown Prince Mohammed Bin Salman and a group of close advisors, aided by an army of multinational consultants and investment bankers, have been driving this transformation. Prince Mohammed and his team are seeking to restructure the Saudi economy, lessening its dependence on oil and creating more socioeconomic opportunities for the Saudi people. In 2016, “Saudi Vision 2030” was launched, providing an ambitious blueprint to achieve these goals and more. What are the various dimensions of these ongoing reforms and what are their prospects and challenges? What impact will they have on state-society relations in Saudi Arabia? More importantly, are these reforms part of a genuine nation-building program, or are they a vehicle for Prince Mohammed to solidify his hold on power for decades to come? Saudi Arabia has attempted to create a diversified economy for more than four decades, albeit with limited success. Since the early 1970s, Saudi Arabia has pursued nine successive five-year development plans (1970–74 to 2010–15) that sought to transform its relatively underdeveloped oil-based economy into a more diversified one. At the core of the development plans were five key goals. 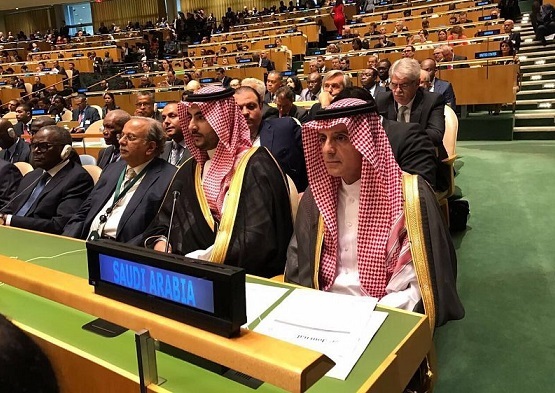 Firstly, the Saudi leadership sought to improve the standard of living and the quality of life for the Saudi population. Next the Saudi government planned to diversify the country’s economic base and reduce its dependence on the production and export of crude oil. Other important goals were to develop the kingdom’s human capital, as well as increase the role of the private sector in the national economy. Finally, the five-year plans aimed to achieve a balanced development path among the vast regions of the kingdom. Arguably, Saudi Arabia has made the most progress toward the goal of improving livelihoods for Saudi citizens, as almost all socioeconomic metrics have shown remarkable development. In addition, public works programs have transformed the kingdom’s infrastructure through building airports, highways, bridges, hospitals, and schools across the country. The kingdom’s human capital has also developed, but foreign workers remain integral to the economy despite years of “Saudization” policies mandating that a higher percentage of the country’s jobs go to citizens. As a result, while Saudi Arabia’s private sector continues to grow, the number of Saudis working in it remains relatively low, with an estimated 70 percent of the labor force currently employed by the public sector. Meanwhile, diversification efforts have been less successful, with oil and oil- related industries still accounting for roughly 90 percent of the kingdom’s export earnings, 87 percent of budget revenues, and 42 percent of Gross Domestic Product (GDP) in 2017. The drop in oil prices from a high of $115 per barrel in 2013 to under $40 per barrel in late 2015 hit Saudi Arabia’s public finances hard. The combination of lower oil prices and a rapidly growing population has lent added urgency to Saudi policymakers pursuing radical reforms. The Vision 2030 document itself is not detailed, but more specifics are included in the National Transformation Program 2020 (NTP) and the Fiscal Balance Program 2020 (FBP), both also launched in 2016. The NTP seeks to reduce the civil service workforce by 20 percent in the next two years and increase the overall efficiency of the public sector. As part of the NTP, the government has established the National Center for Performance Management, Adaa, which means performance in Arabic, to monitor and report on the progress of public sector reform. The NTP also includes a strong imperative to increase the role of the private sector in the economy. The government launched the “Removing Obstacles to the Private Sector” Program to identify unnecessary red tape that may impede the growth of the private sector. In addition, the government established a small and medium-sized enterprises authority to support the development of such firms through training, funding, and advocacy. The state has also implemented a number of regulatory and legal reforms that are designed to spur further growth in the economy. These include updated competition, company, insolvency, franchise laws, expedited business visa applications, and a commercial mortgages law. In terms of fiscal policy, the government has been no less ambitious. The FBP and the 2017 budget set out an aggressive fiscal consolidation program. According to the IMF, the government aimed to reduce the fiscal deficit to 7.7 percent of GDP by 2017, balance the budget by 2019, and generate a fiscal surplus by 2020. Key to achieving these goals is an expected increase in non-oil revenues, including foreign investment, increased tourism, and new taxes and fees. Using the kingdom’s strategic location, Vision 2030 entails creating a futuristic city and a logistical hub that stretches between Saudi Arabia’s northwestern borders with Jordan and Egypt. The city, called “Neom,” is designed to make Saudi Arabia a key regional hub for trade and investment. The kingdom is also hoping to attract investments in the non-oil mining sector, such as in gold, phosphates, and uranium. Also, Vision 2030 calls for boosting the number of pilgrims traveling to Mecca for Hajj and Umrah pilgrimages. Moreover, Saudi Arabia is expected to tax tobacco products and carbonated drinks, introduce a value-added tax (VAT), increase expatriate worker levy fees, raise energy and water prices, and add an assortment of smaller taxes and fees. A key aspect of Saudi Vision 2030 is how to fund it. The plan is to create a $2 trillion sovereign wealth fund—the world’s largest—composed of Saudi Arabia’s current Public Investment Fund (PIF) which would absorb the proceeds from the sale of 5 percent of Saudi ARAMCO, in addition to those from a number of other privatization initiatives that are not yet clear. State-owned ARAMCO, or the Saudi Arabian Oil Company, is the world’s largest oil producer and perhaps its most valuable company. It traces its roots to 1933 when Saudi Arabia granted American giant Standard Oil permission to search for oil. The resulting California-Arabian Standard Oil Co., or CASOC, eventually struck liquid gold near Dhahran in 1938. CASOC changed its name to the Arabian-American Oil Co., or ARAMCO, in 1944, and the powerhouse went on to discover the world’s largest onshore oilfield in eastern Saudi Arabia. Oil demand and revenues surged following World War II, and in 1950, the Saudi government—after threatening to nationalize the industry—negotiated the “50/50” Agreement, claiming half of ARAMCO’s income. After Saudi Arabia led Organization of the Petroleum Exporting Countries (OPEC) in imposing an oil embargo against Western supporters of Israel during the 1973 October War, the kingdom quickly bought major stakes in ARAMCO, before taking full control in 1980. The current name, Saudi ARAMCO, was decreed in 1988. Historically, Saudi Arabia’s PIF, established in 1971, made low-key investments in local industries the government wanted to develop. This has changed under the crown prince, and the fund now invests more aggressively in a wide range of companies and projects both domestically and internationally, including a $3.5 billion stake in Uber. During President Donald Trump’s visit to Riyadh in May 2017, the PIF signed a Memorandum of Understanding (MOU) with Blackstone, the U.S. private equity firm, to provide half the capital for a $40 billion infrastructure fund. During the Future Investment Initiative Conference in October 2017 held in Riyadh’s Ritz Hotel (which a month later would hold detained princes and businessmen who were arrested in an anticorruption purge), the PIF announced a $45 billion partnership with Japan’s SoftBank to create a technology fund, and also signed an MOU with Virgin Group to invest $1 billion in Virgin Galactic. During the conference, the futuristic Neom city was also announced. The PIF is now central to the government’s diversification plans. As it beefs up its value, it will continue to increase its investments domestically, regionally, and internationally, with the aim of creating a major new revenue stream. To that end, the sale of a stake in ARAMCO is integral to the implementation of Vision 2030 as it would dramatically increase the value of the PIF and turn it into a global investment behemoth. However, a number of key issues remain that must be dealt with before the sale goes ahead. Firstly, valuation—how much is 5 percent of ARAMCO worth? Prince Mohammed and his advisors have floated a valuation of ARAMCO at $2 trillion, but investors have valued it at as low as $400 billion. According to the Oxford Institute of Energy Studies, as ARAMCO does not own the oil reserves and only has the monopoly on the extraction of the reserves, the value of the company is based on the global price of oil. The profit per barrel in turn depends on the level of taxes and royalties ARAMCO pays the government. The fact that the government can increase taxes at a later stage increases the sovereign risk, which will negatively affect the valuation of ARAMCO. Secondly, should the kingdom list ARAMCO on a stock exchange as planned, or offer the stake for sale as a private listing for institutional investors? As this is likely to be one of the largest listings ever undertaken, it may require a large foreign exchange as the Saudi stock exchange is unlikely to be able to absorb all of it. According to the Economist, a listing in a foreign market like the United States would expose the company to increased obligations, such as conforming to U.S. Security and Exchanges Commission standards on reserves accounting, even if the reserves belong to the Saudi government. Such obligations would also force ARAMCO to open its books publicly and adhere to a multitude of transparency guidelines, which the Saudis would be hesitant to do. Thirdly, the ongoing Gulf Cooperation Council (GCC) crisis, which pits Saudi Arabia, the United Arab Emirates, Bahrain, and Egypt against Qatar, has raised concerns about regional stability and is likely to have a negative impact on the general investment climate. When asked about the impact of the crisis on Saudi Arabia’s diversification plans, Prince Mohammed was bullish and dismissed the Qatar situation as a small problem that will not have an impact. Some analysts disagree, predicting that a continuation of the GCC crisis is likely to have a negative effect on foreign investment in all of the GCC states. Moreover, the Saudi investment climate may have worsened in the short term by the recent arrests of a number of princes and business tycoons. While these arrests were carried out under the guise of anticorruption efforts, the arbitrary and opaque nature of the crackdown means that foreign investors will be very cautious about entering into commercial agreements with Saudi entities or businesspersons that may at any later stage fall out of favor and be targeted in an extrajudicial manner. For all these reasons and more, the Saudis have been cautious in their approach to listing ARAMCO. As of January 2018, no decision has been made on where to list, but according to some reports, the government is considering a listing on the domestic stock exchange combined with a private placement to institutional investors. Such an approach that avoids a foreign listing would signal that the Saudis are keen to keep the oil giant’s books closed from the scrutiny that it would face in a foreign market.